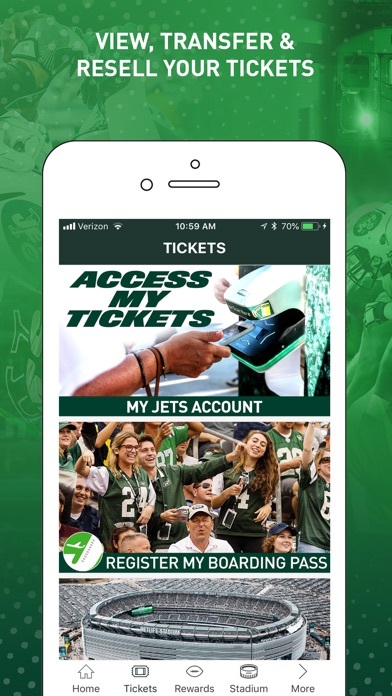 The Jets App will become your indispensable Jets companion. 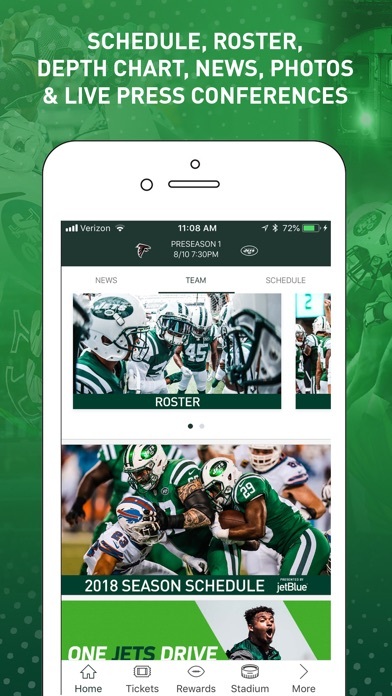 Great features like I Called It! 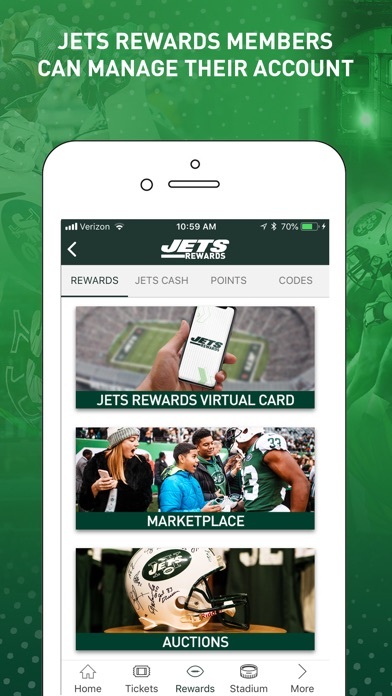 the game you can play all week long as well as, mobile ticketing, up-to-the minute roster news, detailed stadium maps with location, and a new Virtual Jets Rewards Card.